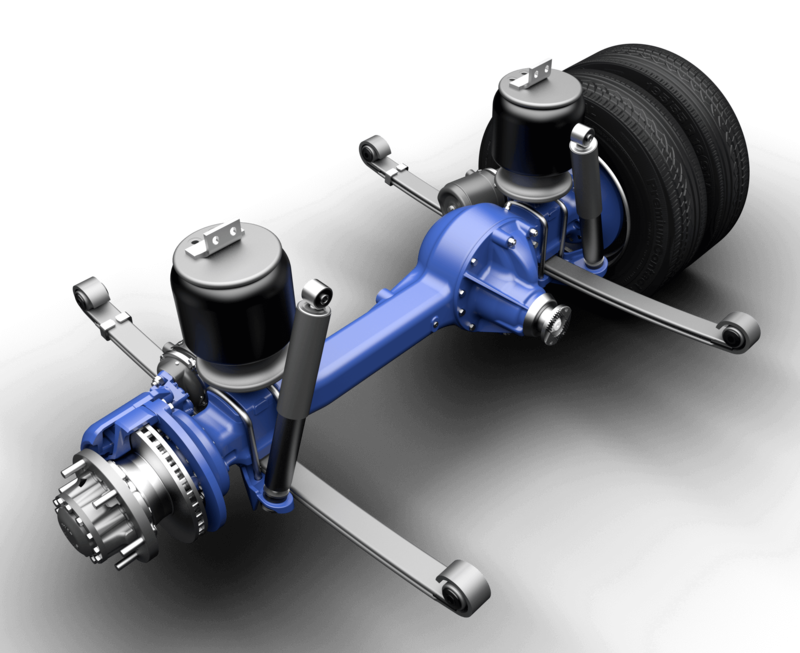 BRIST Axle offers a complete package of front & rear drive axles from diversified range, aiming to fulfill mostly all the customers’ technical requirements in unique and customized configurations, at most economical scale. 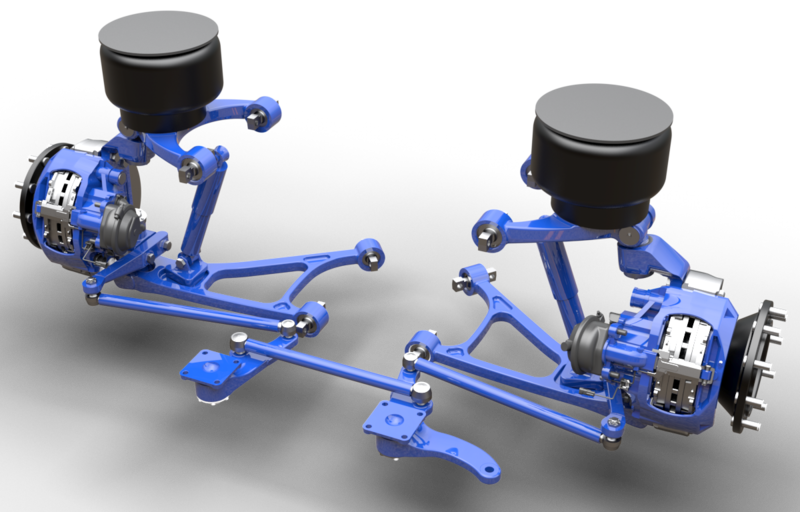 Please scroll down to view the whole portfolio, OR click the link below to download it! 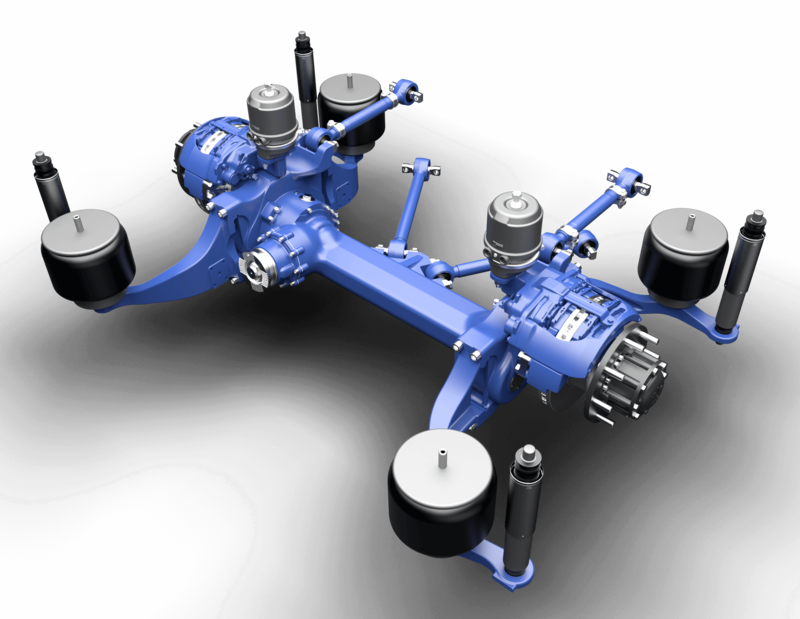 Below, Quality Procedure of BRIST might also be found. 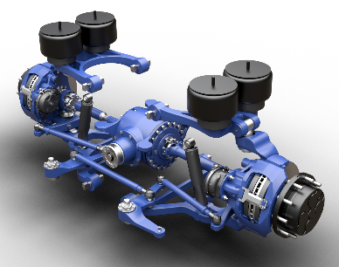 With optimised axle weight, customized drop centre and unitized hub bearing; BRIST rigid axles from 4.1 t to 6.0 t Front Axle Weight (FAW) are widely used on midi-buses and light/medium range trucks successfully. 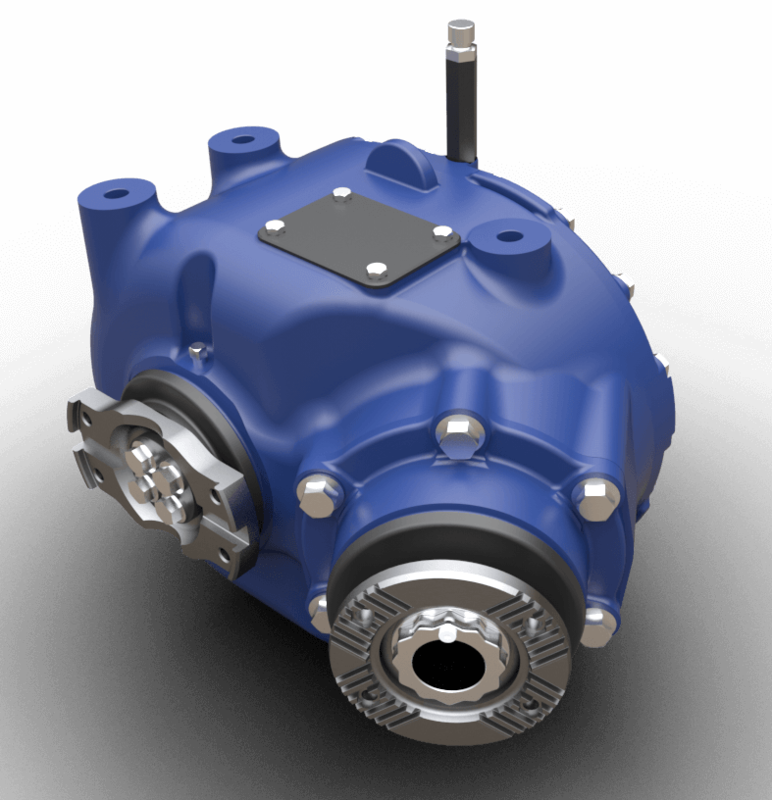 We are proud of significantly low warranty claims from the field. 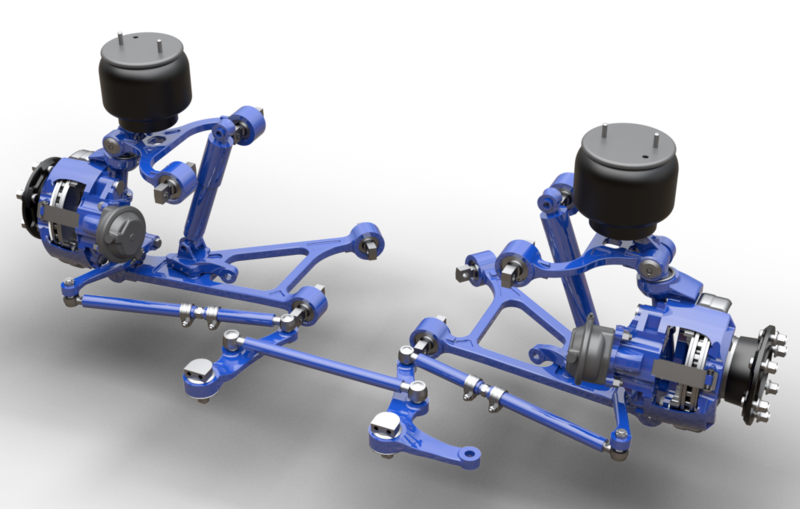 Compromising the gap between engine sump and axle beam, and certain level of ground clearance; deep drop versions have been engineered to fit into the limited space, avoiding any collision at lowered engine position for flat floor passage in front. 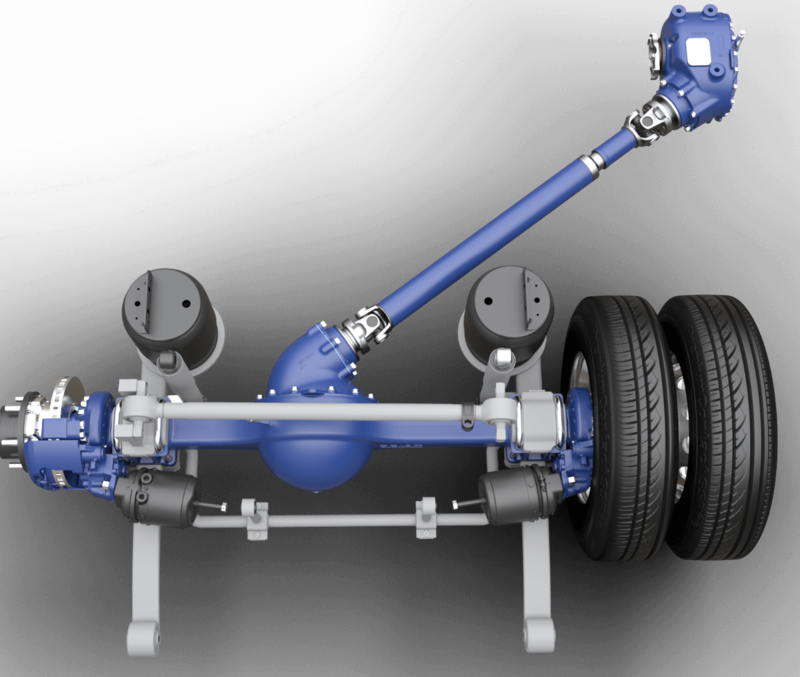 Deep drop products are available for city-bus like applications, ready to fit to chassis. 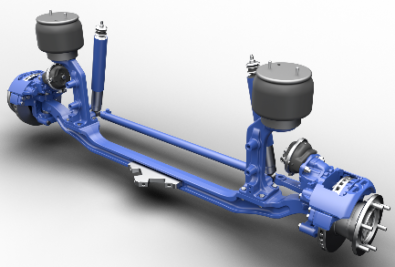 As known, IFS -the latest in axle technology for city buses and coaches offers improved roll stability, better comfort at ride & handling and wider aisle corridors compared to rigid suspensions. 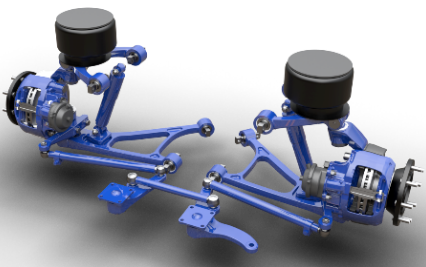 Extra light system weight, optimized scrub radius, compact packaging dimension in height (low silhouette), weight-optimized steering mechanism and innovative Upper and Lower T- joints in multifunction (BRIST patent pended) are the key features of “New Generation” Independent Front Suspensions have been re-designed in new kinematics. 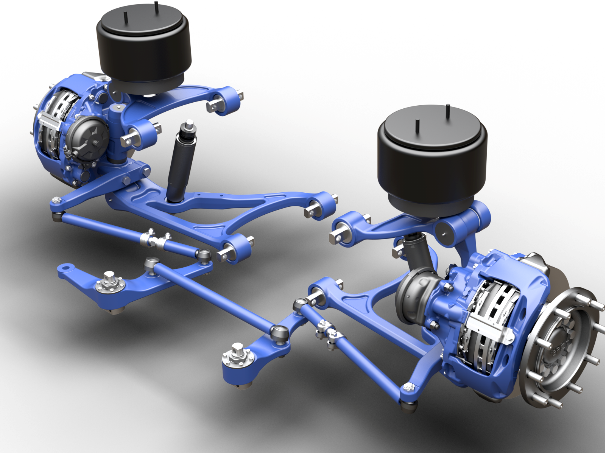 Z Drive is a unique configuration developed for buses with the engine installed in transversal layout to shorten rear overhang. 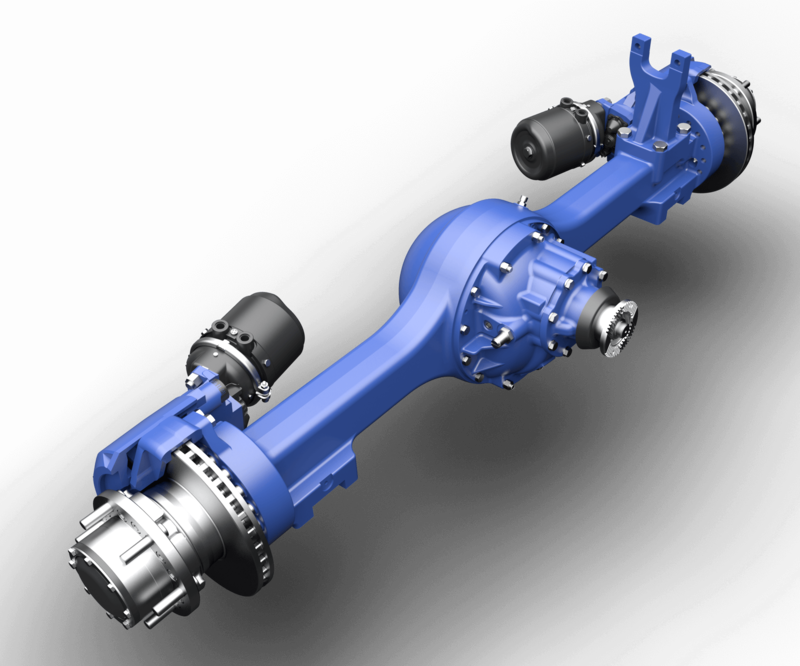 The Z Drive axle is supplied with its Angle Drive Unit at the same input flange angle (35°). 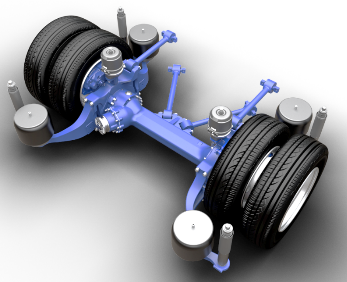 Spesifications of the Angle Drive unit at 35° input flange angle can be shown at the table below. 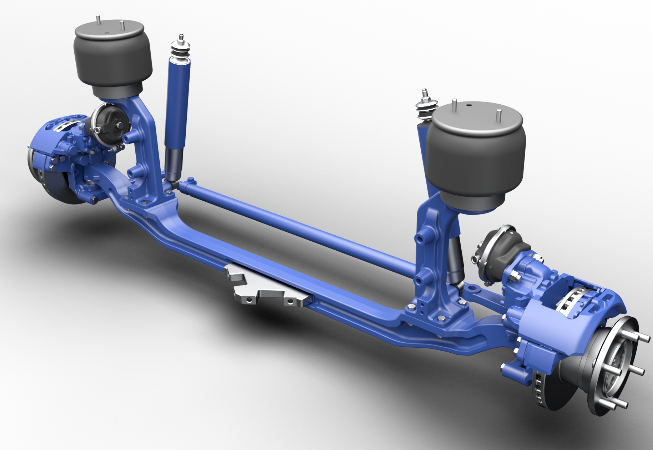 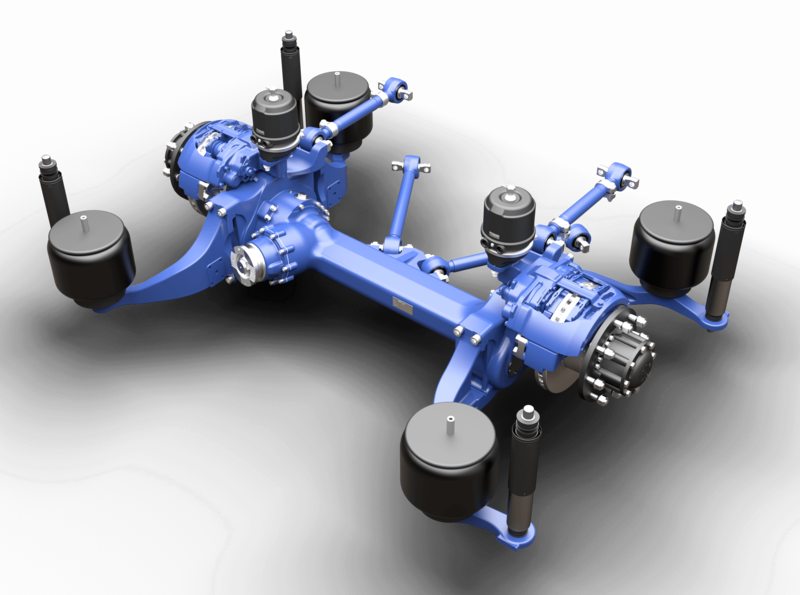 Inverted Rear Portal Axle has been engineered specifically for mid-size LF buses, offers max corridor width, higher ground clearance provided with radial brakes, compact dimension in height and less system weight with 10.4t loading capacity. 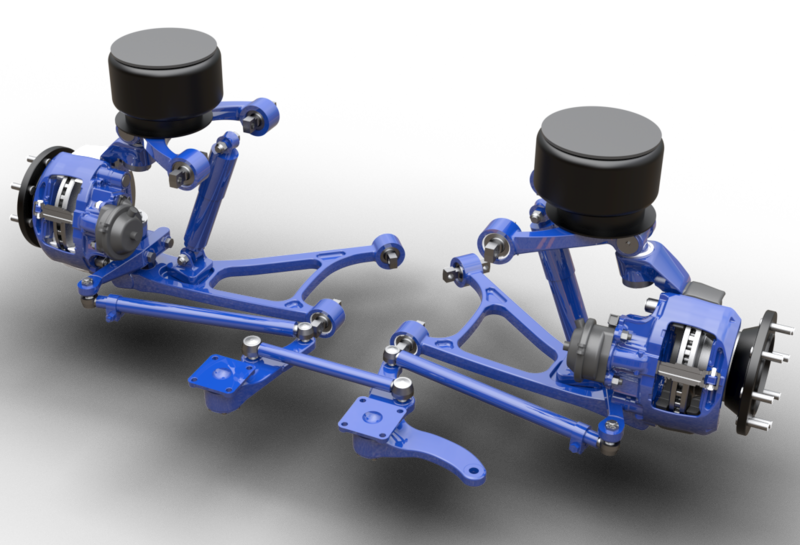 It is available at 75°, 80° and 90° input shaft angle. 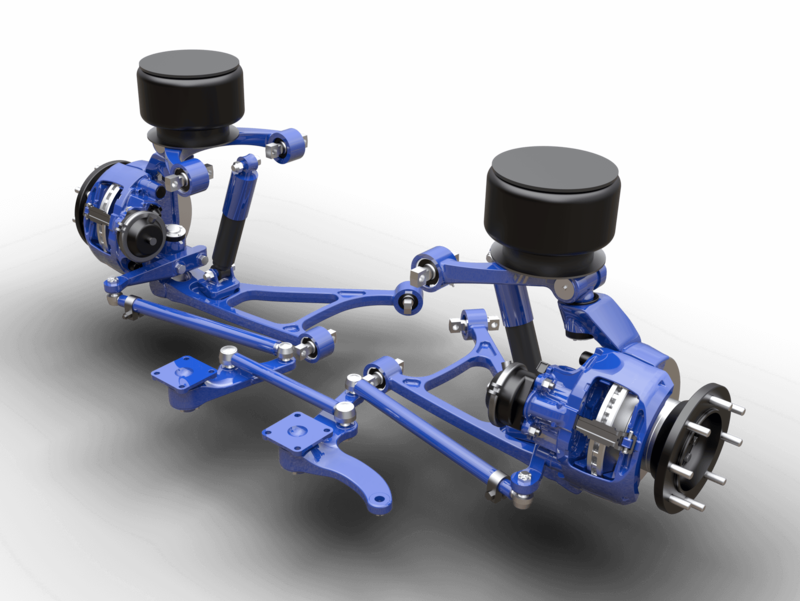 Independent Steered & Driven Axle is available at single or dual reduction. 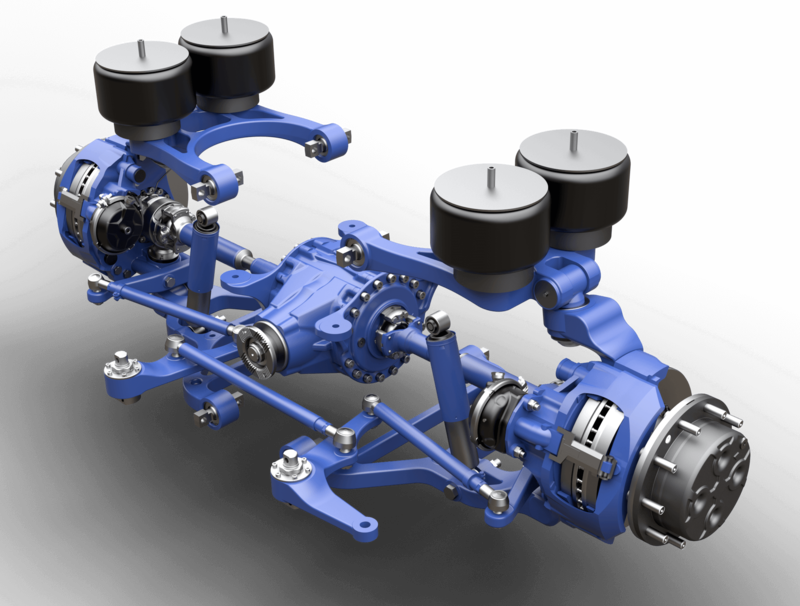 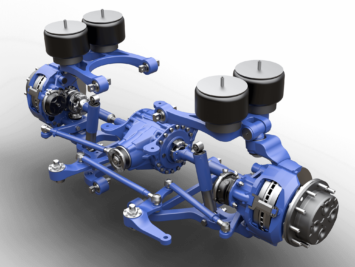 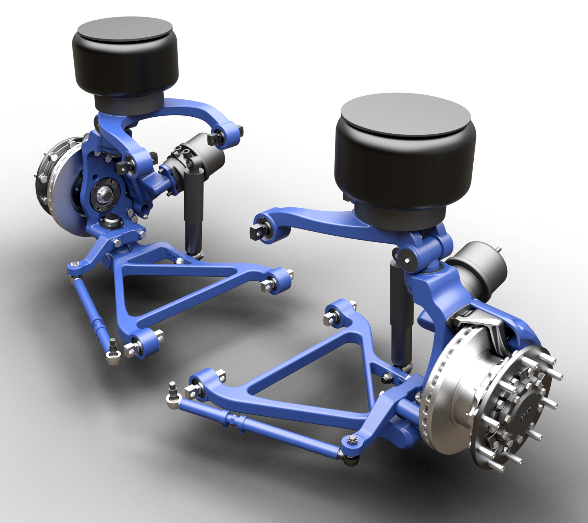 Independent Non-Driven & Steered Axle fulfills the needs in multiaxle bus applications. 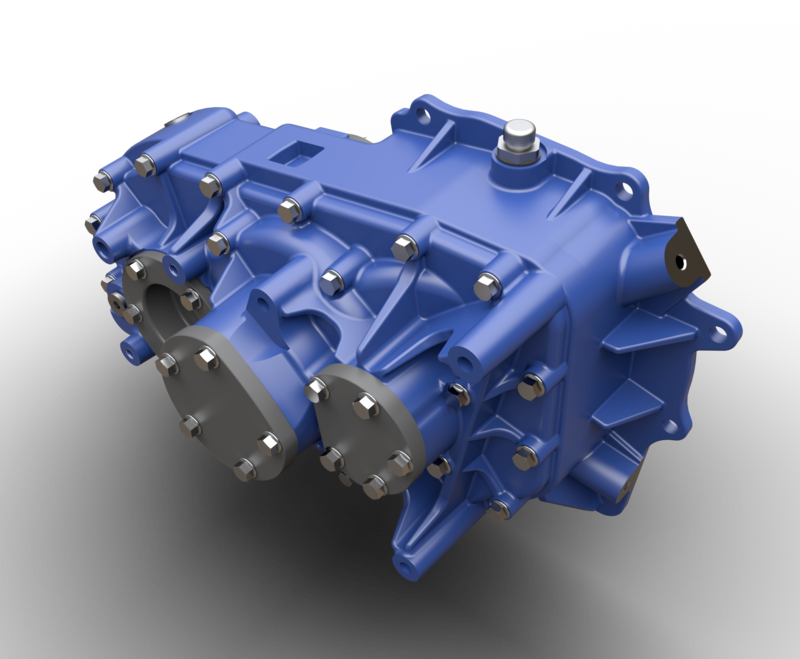 Single Speed Transmission is available at 2 different gear ratios for electric vehicle applications.